New knowledge awakens us to new realities that appear too obvious to some and confounding to others. New knowledge is a bedrock for new developments. Scientific discoveries are a new awakening. Scientists create nothing new , they only provides new consciousness, they shade light . Scientific discovery is a revelation. We celebrate scientists for several reasons. They open their minds and are brave to share their new consciousness, often to a skeptical audiences,in most cases a hostile one. Scientists work hard to explore and present new findings. They have courage to discard existing assumptions and follow new paths of enquiry. Scientists may be so far ahead of time that the ramifications of their discoveries may not be realized during their lifetime. Most scientists are so absorbed in their work and are not concerned about applications of their discoveries. It is the job of technologists to exploit new discoveries. The role of science and technology makes it possible for innovators to exploit scientific discoveries without having to understand the fundamentals. There is division of labour where scientists work on fundamentals and technologists work on applications to produce usable products. Selected scientific discoveries are described here. No attempt is made to rank these discoveries. That task is beyond the abilities of many and is not necessary because there are so many dependencies between scientific discoveries. No attempt is made to go into detailed discussions of the nature of discoveries. Readers, please note that the scientists here are listed not in any order of priority. These are great scientists, detailed discriptions of their lives and their work will require more than just one hub. Bernhard Riemann (17 September 1826 - 20 July 1866) was a pioneering mathematician whose insight was so far ahead of its time that today mathematicians are still grappling with the implications of his discoveries. Riemann's lecture of 10 June 1854 is highly considered in the history of mathematics, with some commentators describing it as one of the best. It is remarkable for Riemann, a very shy man, to be most famous for giving a lecture. One of Riemann's major contributions was the understanding of an n-ply dimensional space not limited to the 3D. 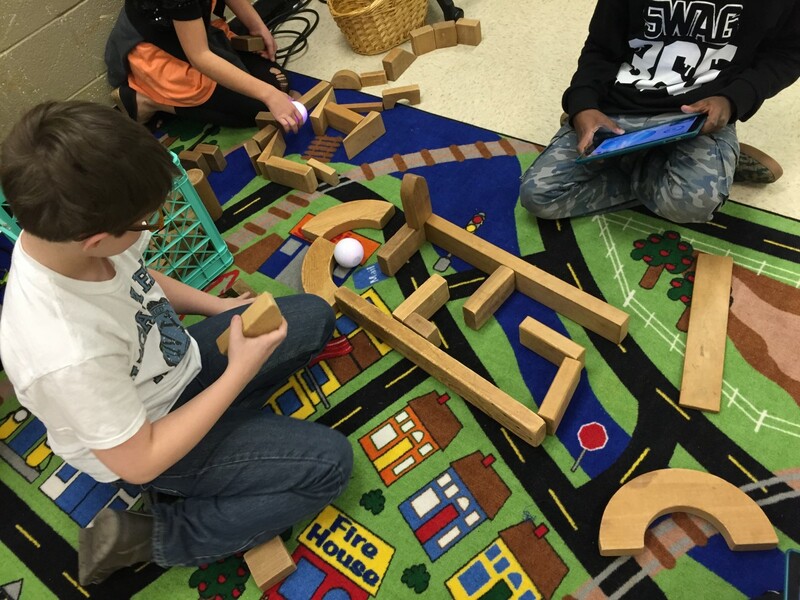 He argued that a 3D space is just one specific example which must not limit our imagination. Considered one of the greatest scientists of all times, Sir Isaac Newton (25 December 1642 - 20 March 1727) laid the groundwork for modern scientific method. 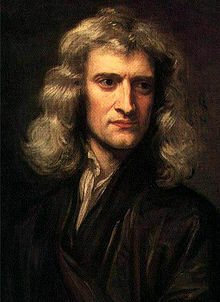 Sir Isaac Newton was an English mathematician and physicist who formulated a unifying understanding of motion and gravity. One of his greatest contribution was calculus, a branch of mathematics that found applications in all aspects of scientific enquiry up to this day. Newton's Laws of Motion are fundamental to the study of kinematics of celestial bodies and simple objects on Earth such as automobiles, aircraft, semiconductor design and gaseous particles. 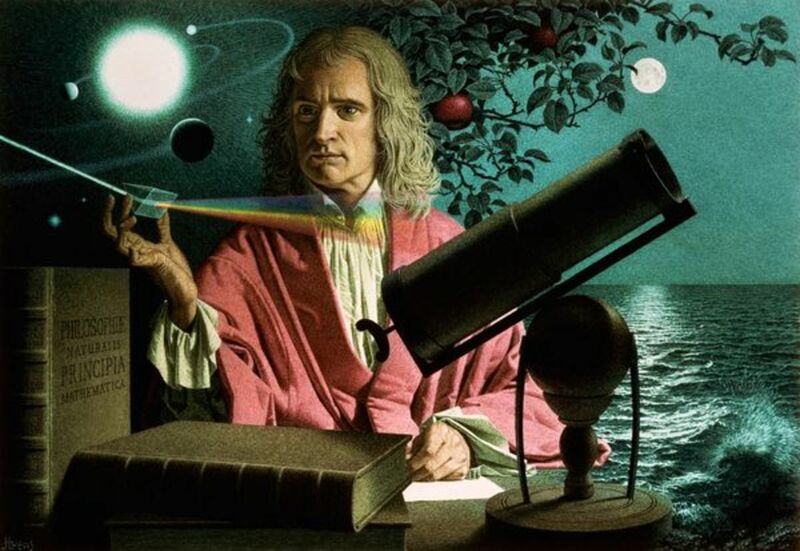 Newton was a prolific scientists who contributed to the study of optics, astronomy and mathematics. Although famous for his gravity and calculus, optics and other branches of mathematics, Newton contributed crucially to the scientific method. Some authors consider his contribution to the scientific methodology as the most important of his work. Newton had a difficult relationships with his peers. 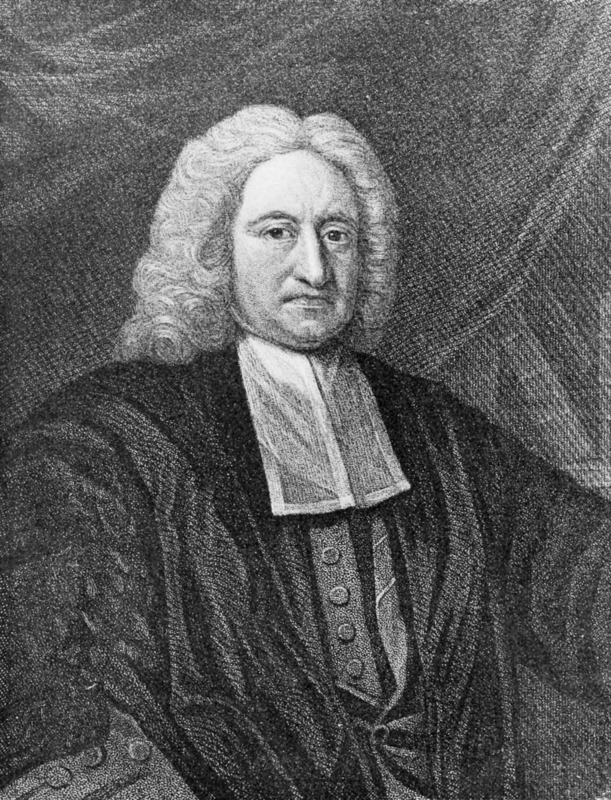 He had a bitter priority dispute with Leibnitz on invention of calculus. This dispute led to a period of over two centuries of isolation of British mathematicians from their continental counterparts in terms of notation. Today it is widely accepted that the two independently invented calculus using different but equivalent approaches. Another frictional relationship was with Robert Hooke regarding gravity, especially the inverse square effect of force between celestial bodies. 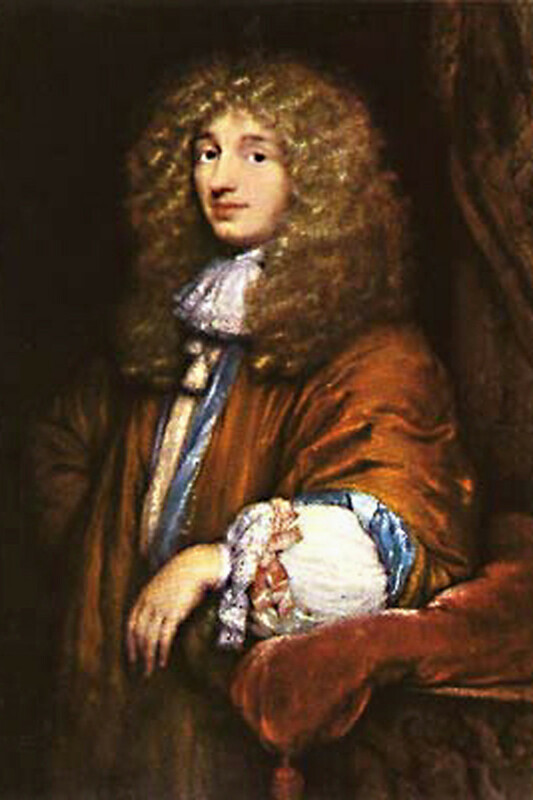 Newton, to his credit acknowledged Hooke among others before him as having an appreciation of the inverse square effect. Hooke himself was a difficult persoanlity. Newton was Master of the Mint for which he contributed for nearly 30 years from 1700 t0 1727. He is said to have taken his work seriously. This is a little known fact about the physicist, but was this an early example of the quant? One unfortunate remark is that he sent a man to the gallows. William Chaloner was a career fraudster who among other things specialized in coin counterfeiting. Newton's Laws of Motion govern modern technology, when you see high-speed trains, aeroplanes landing and and tall buidings, you should know that the engineers who designed those based their calculations on Newtonian Mechanics. A famous story is told of Sir Isaac Newton seeing an apple fall down from a tree and wondering why the apple falls downwards intead of upwards. Whether the apple story is urban legend of the time or rather a village legend is not here or there in this discussion. One of the greatest ever written scientific treatise is Sir Isaac Newton's Philosophiae Naturalis Principia Mathematica written in Latin as was the language of scholarly publication at the time. In this text, among other things Newton laid out the laws that govern motion of bodies large and small in any setting in the universe. These laws are still used today in the design of automobiles, rocketery, design of microelectronic semi-conductor devices , design of highway structures, investigation of aircraft and vehicle accidents , the list is all the known world where motion can be imagined. An interesting thing about some scientific discoveries is their simplicity, or rather how elegently they are presented. Newton's Laws of Motion are some those that appeals to the common man in the street. 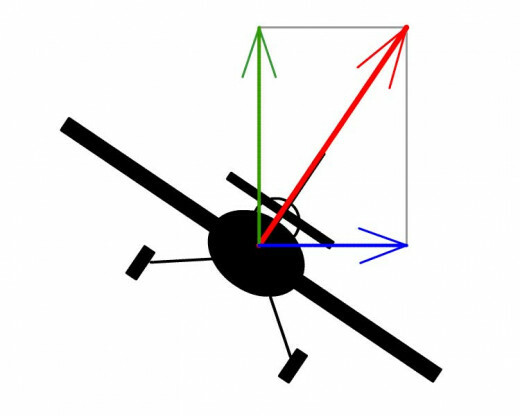 Newton's First Law of Motion: A body continues in its state of motion until acted upon by a resultant force. Newton's Second Law of Motion: The rate of change of velocity is proportional to the resultant force and acts in the direction of the force. Newton's Third Law of Motion: For every action there is an equal and opposite action. 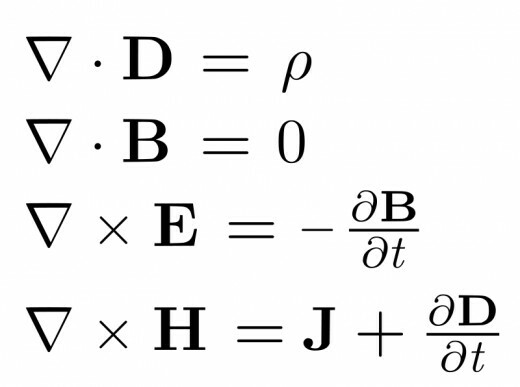 Which physics equations do you find fascinating? 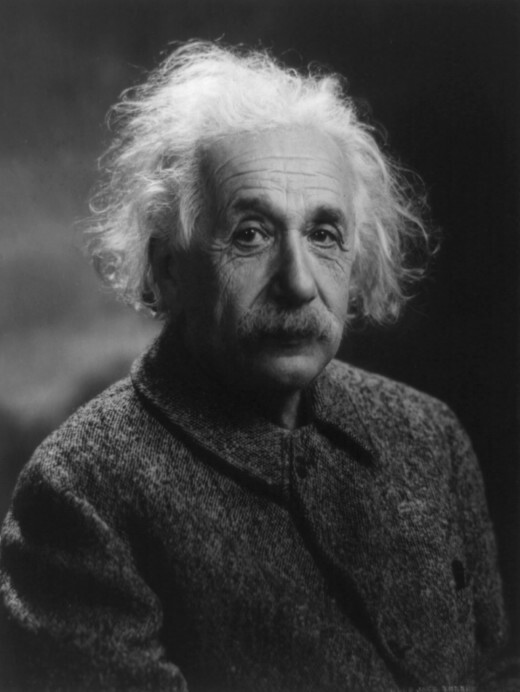 Albert Einstein is arguably one of the most preeminent scientist of his time, if not the greatest physicist of all times. If Riemann challenged mathematicians on how they imagined space, Einstein stood on his shoulders and challenged all of us on how we should imagine reality. Riemann postulated a mathematical framework where our imagination must not be limited by the visible 3D spatial reality that is apparent to us. Instead, he informed us that space is warped, and we should rather imagine dimensions higher than 3. Einstein used Riemann's mathematics to inform us that space and time are actually warped into a form of a continuum. Mass-energy equivalence - that is possible to convert mass into energy and that gravity can bend light. This is the basis of nuclear energy. When concerns of safety are removed, nuclear energy is can provide us with energy for a long time to come, more than any other no-renewable source. Nuclear fusion, if proven feasible will have no safety concerns associated with neclear worst as in fission. In Brownian Motion, this put to rest the particulate nature of matter. It also advanced our understanding of statistics of random events. Brownian motion is applied in various field from finance, telecommunications to transportation. Richard Feynman (May 11, 1918 - February 15, 1988) was a physicist who contributed to the WWII efforts - he was part of the Manhattan Project. However Feynman was also well known for popularizing physics through his well regarded Feynman Lectures. 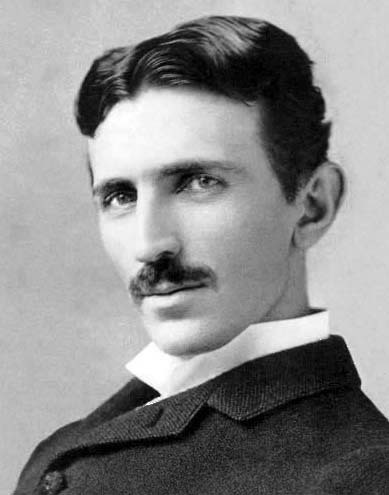 Tesla was a pioneer of alternating current electrical power engineering field. The basic structure of generation and transmission of three phase alternating current AC power was invented by Tesla and independenly by others. Apart from his invention of the transformer, the induction motor, Tesla also invented the radio transmission although he had patent disputes with Marconi. Nicola Tesla was a contemporary of Thomas Edison, indeed the latter employed the former at one time. The rivalry makes interesting comparison of intelect and effort. The methods of the two provide a very good example of the contrast between sheer effort and practical application of knowledge.Both will achieve something. Where Edison used effort, Tesla used intelect and imagination. Among Tesla's invention were the induction motor, the transformer and the three phase alternating current generation and transmission. All these inventions are still in use in the same structural form they were invented more than 100 years ago. The changes had been in the control not in the underlying structure. In its 10 July 2013, Science Wednesday, 8 Things You Didn't Know About Nikola Tesla, PBS said that Tesla had developed the idea about smartphones by 1901. Three things can be pointed out regarding this issue of smartphones. We all know that smartphones are a recent phenomenon, that is one. The second is that smartphone technology is based on radio communication, and Tesla had demonstrated his pioneering vision of radio transmission and its possible use. The third is that Tesla was a man of great imagination and prone to say his thoughts often in a way that surprised those around him. He described in detail how information can be propagated by radio waves. He also envisioned transmission of energy through radio waves. This is theoretically possible, and it is remarkable at that time. However it is not practical (yet) to transmit power as waves through the atmosphere. 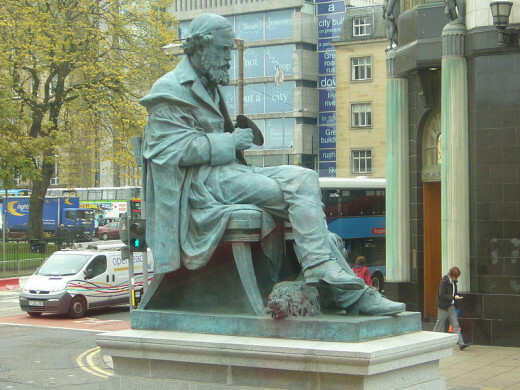 James Clerk Maxwell (13 June 1831 - 5 November 1879),a Scottish mathematical physicist formulated the so called Maxwell's Equations which unfied electricity, magnetism and optics. He proved that light is an electromgnetic phenomena. Maxwell's Equations are widely in mathematical modeling of flow processes. The theory are so abstract that it is applied to any physical phenomena from electromagnetics, fluid flow thermodynamics. Maxwell's Equations are some of the most fascinating set of equations in mathemtical physics and are seen on T- shirts at various university campuses around the world. It must be pointed out here that the four equtions we see and use today are a simplification of the original equations produced by Oliver Heaviside, Maxwell's initial formulation was far more complicated. Heaviside, another great scientist, must be credited for unfifying the scholarly study of electrical engineering. The equations are fundamental and can be used on any analysis of electricity and telecommunications, however there are cases where the calculations can be easier using other methods. History of science is a story of men and women who observed nature, reflected on their observations and made on their interpretation based on existing knowledge. When you consider Sir Isaac Newton, James Clerk Maxwell and Albert Einstein, you see a continuous fibre, in some cases almost invisible and in other cases very clear. It is interesting in several ways that there is unity in their discoveries. Also remarkable that in the case of Newton and Maxwell, their discoveries were made at a time there had little knowledge of the nature of the Universe. Both men had vague idea of space and what it was made of. Einstein on Newton and Maxwell: " Maxwell's work ... the most profound and most fruitful that physics has experienced since the time of Newton." Tesla on Einstein: " I hold that space cannot be curved, for the simple reason that it can not have properties. ... . I , for one, refuse to subscribe to such a view." Scientists work to feed their own curiosity, they are disciplined enough to follow existing methods and body of knowledge. They are also courageous enough to challenge existing body of knowledge and to present their hypothesis to skeptics. 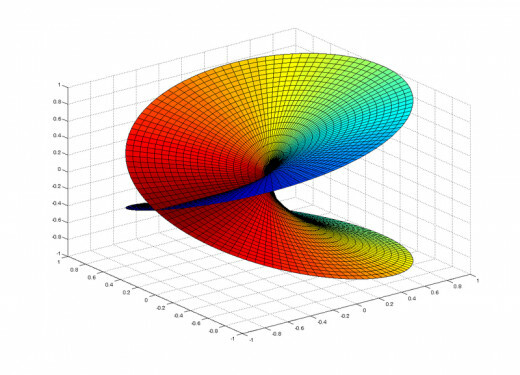 Before Riemann, we were comfortable with our three dimensional geometry as the ultimate. Riemann told us that the three dimensional space is just an example, nature is multidimensional, our perception may be limited to a three dimensional space, however, our imagination must not be limited. An interesting hub, thank you. I'm often impressed by how the personality of these scientists comes through, affecting not only their work but those around them - Newton is one example of someone who used his position to promote his own work often at the expense of others, whereas Einstein seems a remarkably humble and generous man. Thanks ronny2005. Very interesting scientists too. Good collection ..... interesting hub ! Thanks mythbuster for reading. 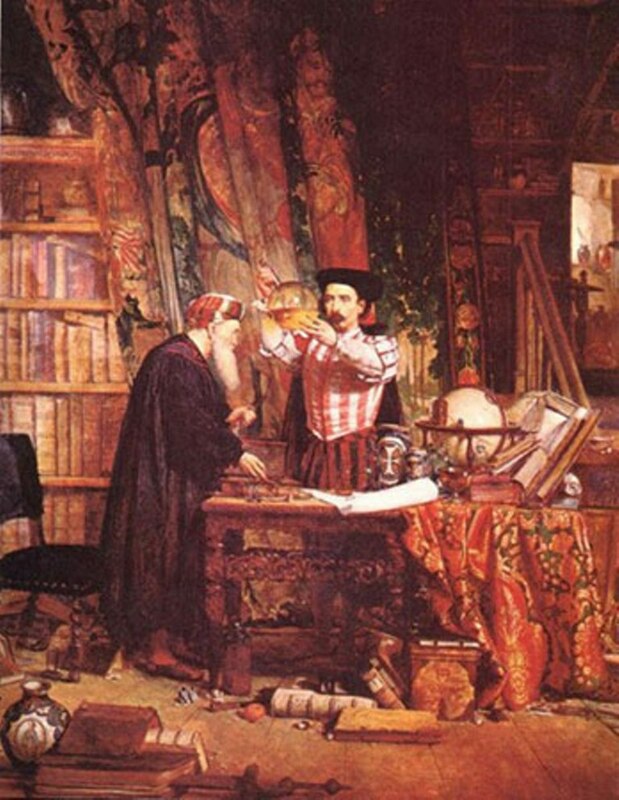 The history of science and scientist is as colorful as that of everyday people. To be useful Maths must be understood by many people as an everyday tool. Well done article. Though I am no math scholar, I am interested in how these personalities and their works have influenced others who followed after them. Thanks for sharing this information and for making it easy to understand. Thanks Susi. I was interested in Maths and Physics at school. The lives and circumstances of scientists and the historical implications of their discoveries is interesting. Thank you for reading and please advise me as I had just started. Congrats for your earning milestone . This is an interesting hub, I always wanted to know about the famous scientists before their time in detail. It's amazing what they all did, especially Einstein's very famous theory of relativity. Great job and I'm looking forward to more hubs! Voted up, shared and interesting.